Mayor Phil Goff has launched ‘Million Trees’, a three-year programme to green Auckland by planting 1 million mainly native trees and shrubs. The first tranche of plantings for 2017 involves 30,000 trees each for the North West Wild Link and Puhinui projects, 25,000 trees and shrubs for Atiu Creek in Rodney and 15,000 plants each for the Whau River project and Project Twin Streams in Titirangi. Million Trees formed a key part of Phil Goff’s mayoral campaign. It seeks to make Auckland a greener, more beautiful place while providing carbon sinks to offset greenhouse gases. It will also help prevent siltation of Auckland’s harbours and waterways by planting along streams and coastal areas. Auckland Council is partnering with Department of Corrections, Trees that Count, local nurseries and community organisations. 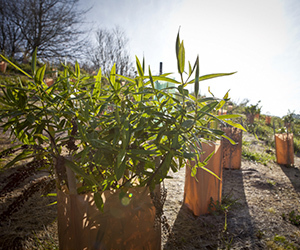 The Million Trees Foundation is funded by the Tindall Foundation and delivered by Project Crimson Trust, Pure Advantage and the Department of Conservation.